Self-care is an important and often overlooked part of our lives. Some times, it’s important to take a moment, disconnect and reflect on how you feel. 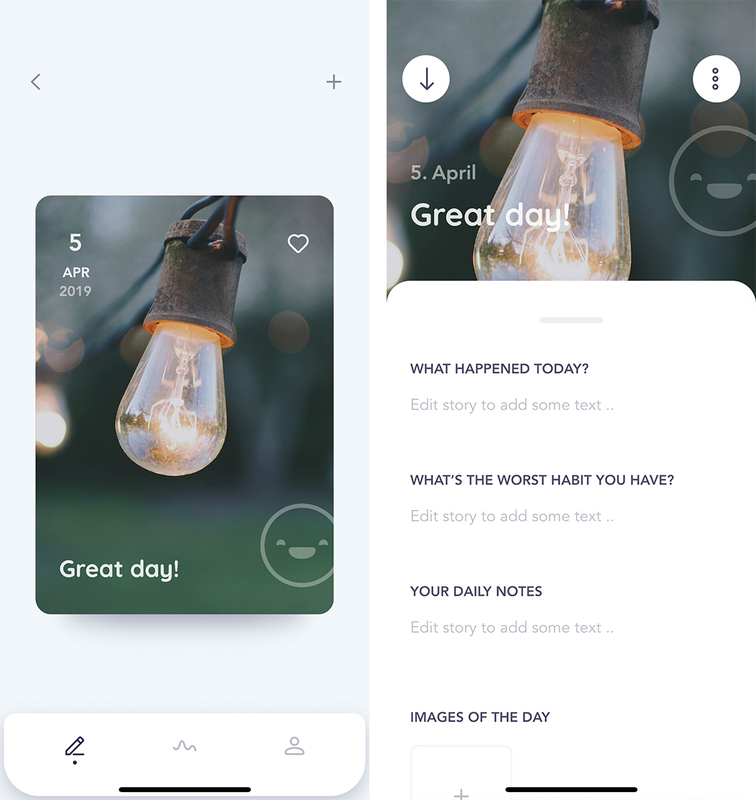 In that spirit, ‘Reflectly’ offers a beautifully designed journaling app that makes it easy to keep track of how you’re feeling on any given day. What drew me to Reflectly first was the look of the app. It’s dominated by vibrant colours on white backgrounds and has excellent photos scattered throughout. Further, the app uses lots of rounded corners and large, tappable buttons. 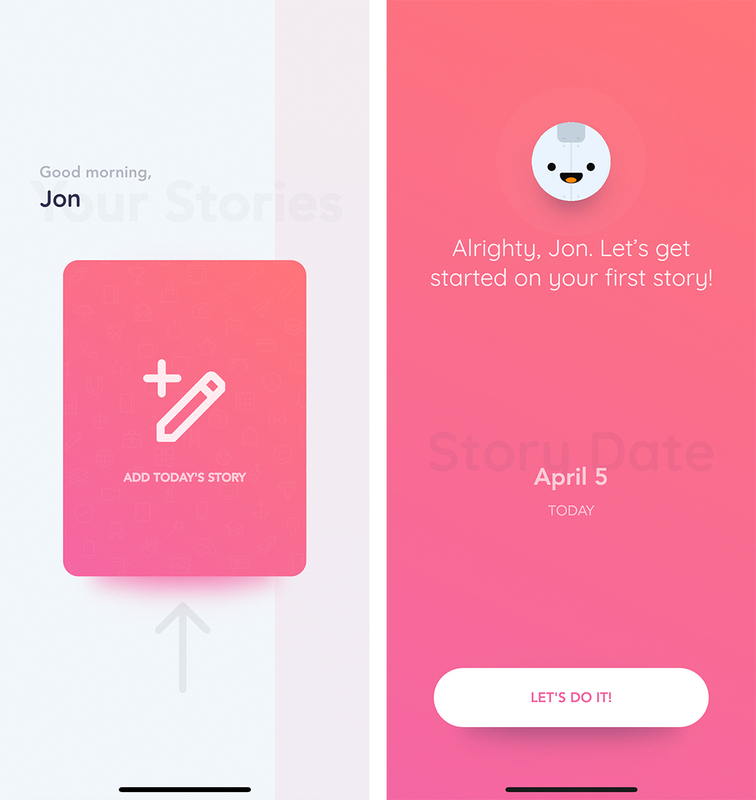 Aside from its excellent design, Reflectly does a great job distilling a daily journal down into the basics. When you add an entry, Reflectly, the app’s titular assistant, takes you through the necessities step by step. You’ll tell it how your day was with a sliding scale from ‘Super Awesome’ to ‘Really Terrible,’ tell it why your day was that way and more. 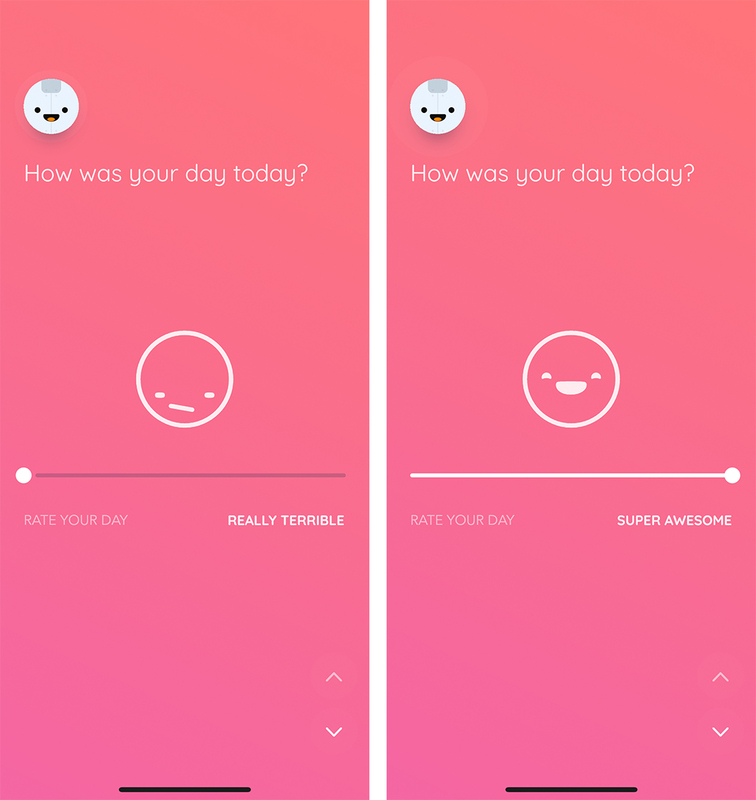 Reflectly can also ask you questions designed to help you reflect on things. For example, the app asked me what encouraged me to do better. These answers are added to your daily entries as well. Further, users can add notes to each daily entry, and write more information about the day as they go. On top of this, Reflectly lets you customize aspects of the app, such as the primary colour used throughout, your name and profile picture. You can also create a free account to save your daily entries to the cloud and keep them if you switch phones. Further, Reflectly offers a yearly subscription to unlock extra features. 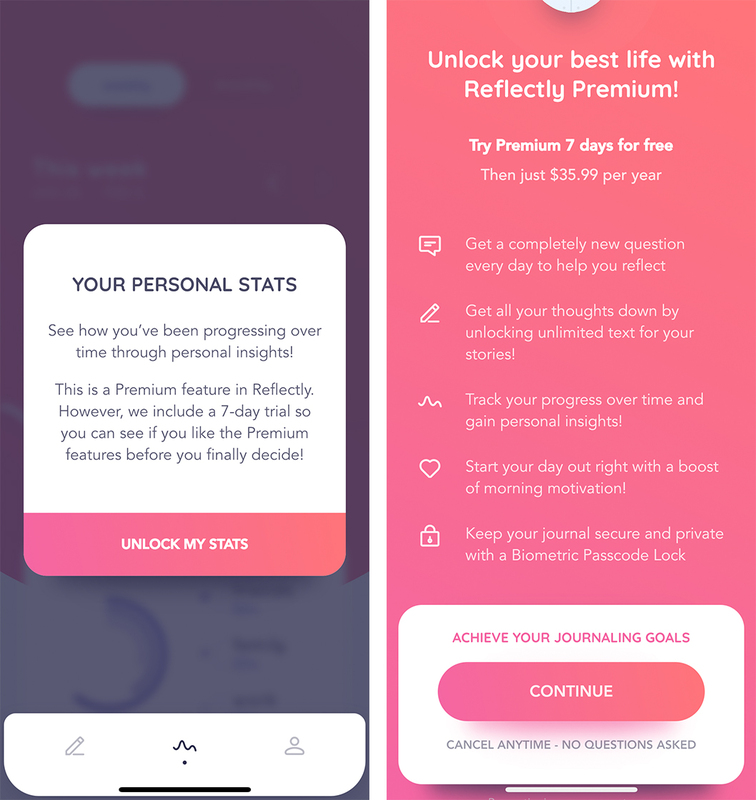 For $35.99, you get unlimited space for writing notes in your daily entries, new daily questions, morning motivations and the ability to track your progress over time. Reflectly Premium also unlocks a Biometric Passcode lock to help keep your journal secure. 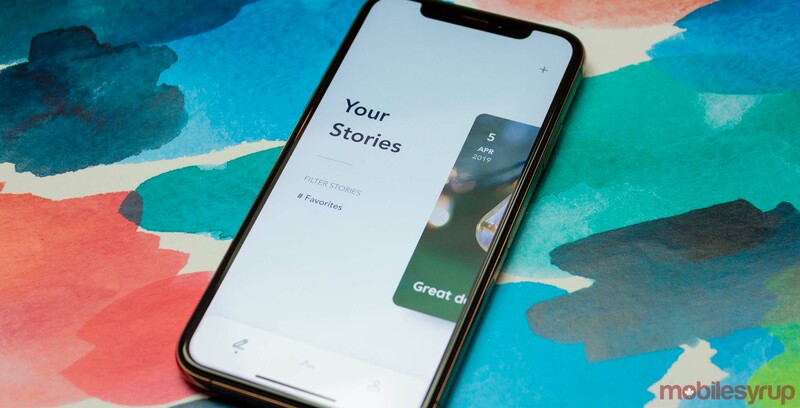 Overall, Reflectly is an excellent option for those looking to keep a digital journal on their phone. With an attractive design, well thought out features and more, you can’t go wrong with it. You can download Reflectly for free on iOS and Android.